A silverback is an adult male gorilla, typically over 12 years old and named for the distinctive patch of silver hair on his back. They have large canine teeth that come with maturity. Silverbacks are the strong, dominant troop leaders but not all have this position; some may have never led a troop while others have either retired or been deposed. Groups of male silverbacks have been observed though the dynamics can suddenly change when the leader dies or is deposed. Each typically leads a troop (group size ranges from 5 to 50) and is in the centre of the troop’s attention, making all the decisions, mediating conflicts, determining the movements of the group, leading the others to feeding sites and taking responsibility for the defence, safety and well-being of the troop. 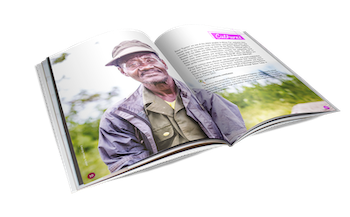 Research in the 1920s indicated an average group size of 13 while Batwa estimates were 15–20. Nowadays groups of 30 with five silverbacks have been recorded, as have groups that are male only; 40% in the Virungas are multi-male. 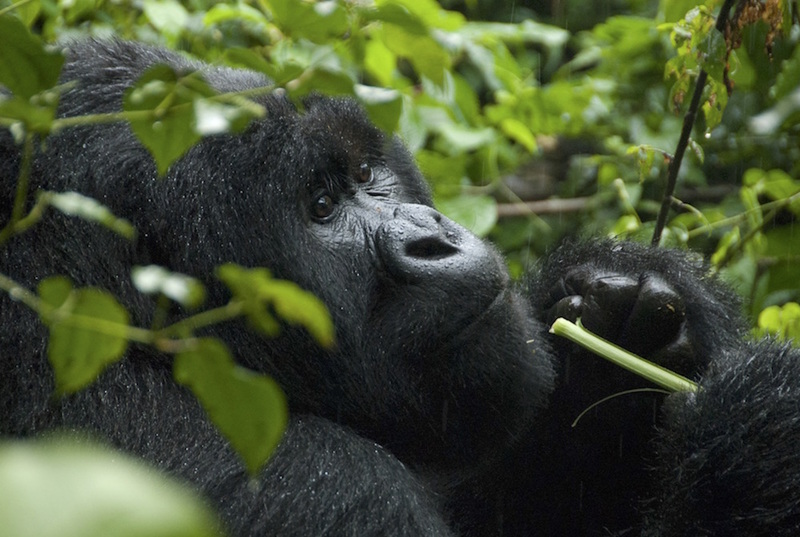 The latter have weak relationships and may join another group if there is an opportunity to mate with females; though this can be difficult as the lead silverback has this prerogative and is likely to be the father of most of the group’s infants. Blackbacks are sexually mature males up to 11 years old; they usually serve as backup protection but often maintain distance from the leader. They often strike out independently and can form transitory groups of their own. If alone, they sometimes join other troops for short periods. It is only when they become silverbacks that they will attempt to form their own group or take over an established one. Multi-male groups appear to be more sexually successful than single males, which results in the formation of blackback troops with individuals of different origins. However, it is also thought the reason that males leave these groups is the innate need to reproduce. Somewhat contradictory, and may be due to how well they bond as individuals within the group; those who don’t bond end up leaving. There is no such thing as life-long troop loyalty among females either: they usually migrate away from their natal troop. The avoidance of in-breeding and the search for a suitable mate must be innate but other factors can be a trigger, i.e. a lack of males or too much female competition. Social relations between females are strong and status is defined by seniority. Friendly behaviour between females is the most common though aggression can occur over competition for food or males. They can form coalitions to protect themselves from aggression from other females or males. These tend to be among relatives as the natal bonds remain into adulthood. This is an excerpt from the award-winning Gorilla Highlands Interactive eBook. ← Who is Jas Mangat, Gorillas in the Mist Champ?